Passing is permitted on both sides. Passing is permitted on the side of the broken line, but not on the side of the solid line. 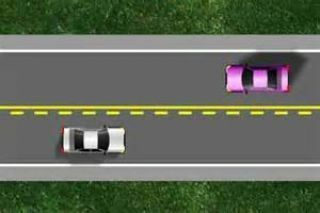 Passing is permitted on the side of the solid line, but not on the side of the broken line. Passing is not permitted on either side.